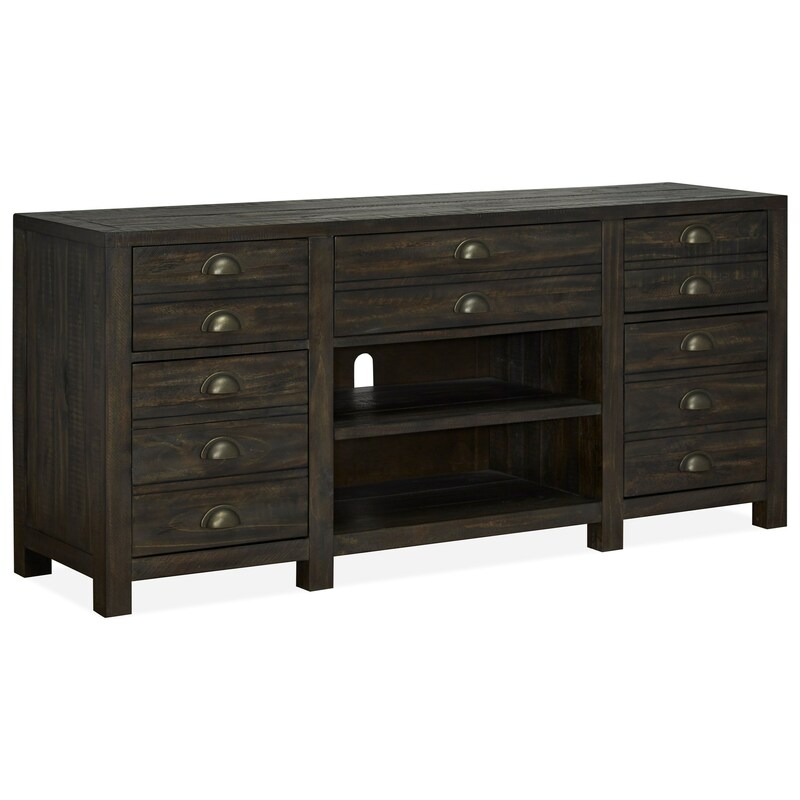 Equipped with three spacious drawers, two doors with adjustable shelving, and two open shelves, you'll love the versatile storage options this console will bring to your home. The burnished brass hardware adds a stylish yet subdued detail that rounds out the rustic look of this piece. The Vernon Rustic 3-Drawer, 2-Door Console by Magnussen Home at Rotmans in the Worcester, Boston, MA, Providence, RI, and New England area. Product availability may vary. Contact us for the most current availability on this product. Storage Three felt-lined top drawers; one wood shelf in the middle; two wood doors on sides with one adjustable shelf behind each door. The Vernon collection is a great option if you are looking for Rustic Industrial furniture in the Worcester, Boston, MA, Providence, RI, and New England area.